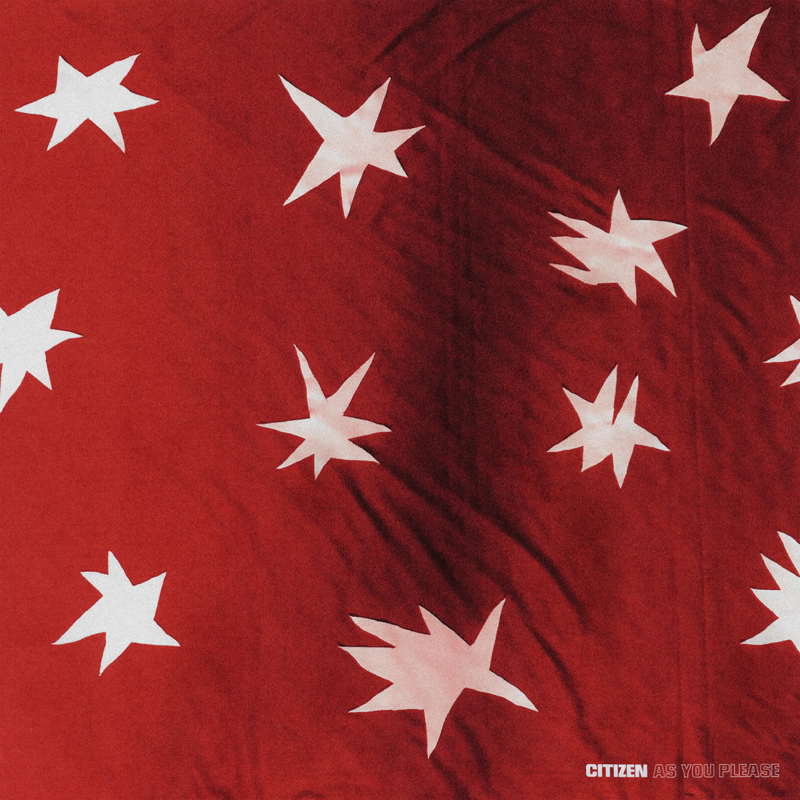 Citizen have just released their third studio album, “As You Please.” Citizen have managed to stick to their punk roots while also experimenting with a new style. They have included piano along with some slower songs on this album to create a sense of diversity among their range. This album is most reminiscent to their album “Youth.” Their sound definitely takes influence from bands such as Nirvana while still creating their own atmospheric take to their musical style. “Fever Days” one of the middle tracks on the album sticks to Citizen’s traditional roots. The track starts off slow with a peaceful melody. The singer, Mat, then helps pick up the melody and ends the first verse with, “You remind me of something I’ve lost,” in a rather somber tone. Then the chorus picks up right away as his vocals become more powerful and emotional as he sings, “I can’t give anything. I can’t give anything. I can’t give anything. I can’t give anything. I am only a fleeting thought.” The beginning and ending instrumental gives the song a different vibe as they only use a simple acoustic guitar instead of the heavier rifts throughout the rest of the song. “Discrete Routine” is undoubtedly a slower track on the album, but also one of the more diverse tracks. The beginning instrumental teases the listener with a quick piano sample that doesn’t pick up until later in the song. The slowness of the song allows it to sound raw and innocent. The first verse and chorus transition right into each other. He’s nearly echoing, “You’ve learned to forgive but I have not yet, but I have not,” before transitioning right into the chorus while still keeping the same tone and melody. The middle of the track provides a soft melody on the piano while he slowly sings, “Volatile scene a crack in the sky. Peeking inside peeking inside.” The last few versus repeat the chorus, but drastically pick up the guitar riff to create a grungier riff. “In the Middle of it All,” the second single to be released, is one of the sadder songs on the album. It starts off almost like a church choir as he’s singing, “In the middle of it all,” repeatedly. Then the first line transitions into a distant voice as he faintly sings, “Fellow dies with no one there to care for him.” His voice is faint which creates a sense of darkness to the song. The chorus becomes louder as he sings, “Maelstrom; you are my only God. Absent into the fog, I succumb to your every want.” His voice is holding a sense of authority as his vocals become louder. The darkness is fading into an authoritative state and his voice is loud and clear, which gives the track a clear vision. “Ugly Luck” is one of the more unique songs on the record. The melody is one of the more upbeat on the record, but the lyrics still have a sense of darkness to them. The first verse starts off at a moderately paced tempo as he’s singing, “The choir aches, the trumpet stings our hearts.” By the chorus he has picked up his vocals and the lyrics become more pronounced. He’s singing with such calm to his voice, but the lyrics overall are rather somber. He’s singing, “I am vague to you; a fly on the wall… and I’m a trick to you; a deserted thought.” Their musical range is really highlighted on this track as he is able to sing so calmly despite the gloominess to the lyrics.